Pyramyd Airsoft Blog: Airsoft Q&A Day - What are the release dates for KWA's new guns? 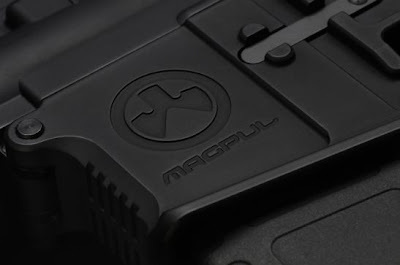 Airsoft Q&A Day - What are the release dates for KWA's new guns? "Dear Tom, when are the new KWA Airsoft guns that you've featured on the Pyramyd Airsoft Blog going to be released?" Excellent Airsoft question, Regina. In order to provide Regina and anyone else with a decent Airsoft answer, I put a call into my homie, Mike, over at KWA so that I could interrupt his busy schedule and pester him with what I'm sure are his least favorite questions. So I know I was kind of misleading the other day and didn't have any real news to report on the KWA KRISS, so I will spill what I know. They're still waiting on the 1st prototype to be finished so that they can start fine tuning the design. I'm told they should have one soon which will allow them to start performance testing, which is one of the final phases of the whole R&D process for them, before the KRISS can hit production. So we're almost there and making progress. While Mike couldn't specify a target date for release yet, he did indicate that they are hoping to have it ready for action at the beginning of 2012. Mike did say that the KWA Tokarev (TKV-33) and M945 Compact gas blowback pistols should be available around Thanksgiving time so that we can add both guns to our list of things to be thankful for. I forgot to ask about the HK45 gas blowback pistol today (fail) nor did Mike volunteer any information about it. Last I heard from him was that it was a bit early to be able to project a release date for this particular model. And in the most recent of events, KWA announced just today that the Bureau of Alcohol, Tobacco, Firearms and Explosives (BATFE) has bestowed their blessing upon the design of the company's highly anticipated gas blowback rifles. With the BATFE satisfied, KWA plans to begin production very soon on the LM4 Professional Training Rifle (PTR), the LM4 Magpul PTS Edition and the AKG-74M. All of which will feature what KWA is calling their "Force Velocity" (FV) upgrade of their well-known NS2 gas system. The target release date for all three of the newly BATFE-approved GBBRs from KWA is set for January 2012, which coincidentally would be just in time for SHOT SHOW!!!!!!!!!! !